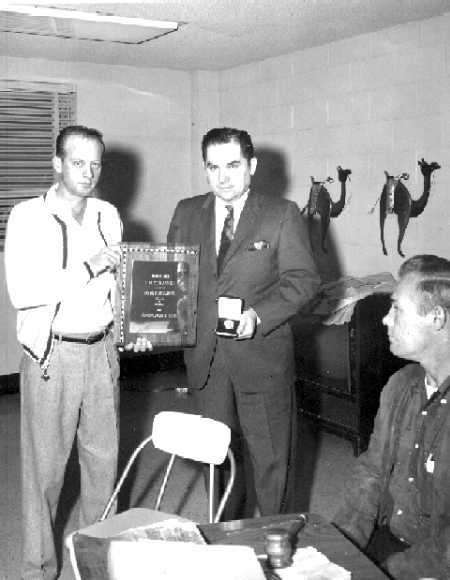 Jim Dancy Presenting Plaque to Chief L.M. Strasner upon his retirement. J.W. Rosamond (Local 35 Pres.) seated at table.